Most Christians, at least those that are real people, encounter doubt about their faith sometime in their lives. To some, this is the greatest sin a Christian can ever commit! 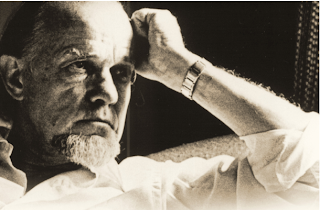 Yet, those that have encountered a crisis of faith such as Francis Schaeffer did, and have had to struggle with the questions of life, usually came out stronger in their faith after the crisis. But, the fact is that not all of us are great intense thinkers! The good thing is that there are, and have been, some really great Christian thinkers. Some that come to mind are St. Augustine, Pascal, William Wilberforce, William Gladstone (whom I was named after), Isaac Newton, Schaeffer and many more. We can make use of the resources these people have produced in writing to learn from and to bolster our faith. "Doubt, manifested in many forms from the assurance of one's salvation to factual questioning, is certainly one of the most frequent and painful problems which plague Christians. 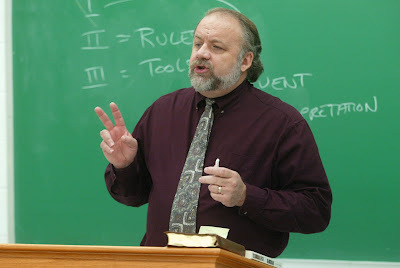 These studies propose to deal, successively, with the general topic of doubt as experienced by believers, and then, chiefly, with practical suggestions for the possible resolution of each of three prominent types of doubt. Afterwards, we will examine several pertinent issues which might potentially be of further assistance to persons experiencing such uncertainty. "Although we will discuss some theoretical issues, our chief purpose is, through the usage of practical language and suggestions, to concentrate on the healing of believers who struggle with doubts. This may refer both to those who read the book themselves and to those who use some of the ideas to help others with doubts. To this end, this book is written to Christians and so will not attempt to argue for the truth of Christianity, although endnotes will frequently list some relevant sources which do a commendable job of introducing the reader to the area of apologetics." Thankfully Dr. Habermas has made this available online for free. I hope this online book is of help to you. If you know of any other resources, please let us know!